We’d love your help. Let us know what’s wrong with this preview of American Alchemy by Oliver Altair. When Jonathan volunteers to explore a haunted cavern deep inside the tunnels, he'll step into the domains of a magical beast made of priceless, liquid mercury. If only he could take some of the rare Jonathan Tucker is desperate to leave his town before snow blocks the roads. His hard work at the silver mine is paying off and he just needs one last push to achieve his goals. But awaking the creature's wrath will soon prove his biggest mistake. Will Jonathan escape its fury before the cursed mine becomes his tomb? 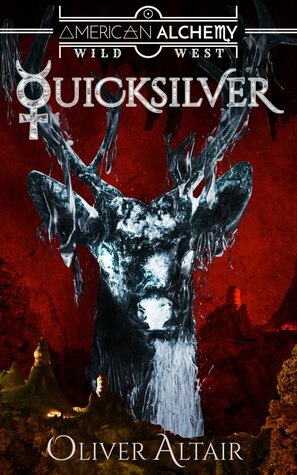 "American Alchemy: Quicksilver" is a prequel story for the novel "Silver and Bone." It's only available to the member's of Oliver's readers group. To ask other readers questions about American Alchemy, please sign up. Oliver Altair is a storyteller that dives into the beauty of the bizarre. Highly influenced by classic science fiction and fantasy, and the stories in the golden era of Pulp magazines, Oliver loves exploring all sorts of uncanny possibilities. Oliver lives between the United States and Europe and loves to travel.